Jona: hot deals for hot moms and ladies! Curated deals and prizes to help you get things you like! 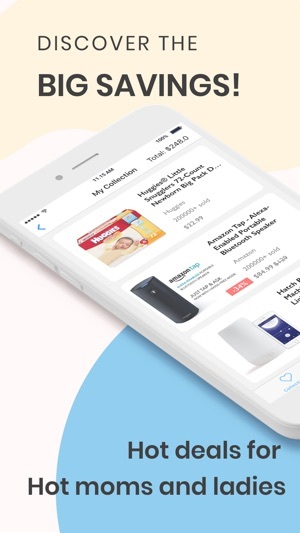 Up to $800 freebies from big brand like Similac, Enfamil, and Medela for expecting or new moms as special gifts. JONA will make your shopping experience easier, faster, and more fun! 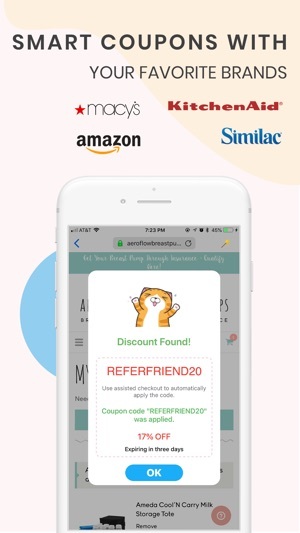 Download now and start your big savings on your favorite brands! Recommend things catered to your own personal interests. No more expired coupons! Jona can check what is the best available discount code and automatically apply it upon checkout. With our patent-pending technology, check out is just one click away. Never have to input your personal information again and again for different sites. Jona uses military-grade 256-bit encryption to keep your information safe. Even if you lose your phone, no one can ever access it without your biometric ID. Really great, I cannot live without this app now! Everyday I will check it for more than three times and get many useful deals! I can always find new items I'm interested in and also get some free items. I will never need to fight with crowd in the mall any more coz I got this app! Purchase like magic, love it.